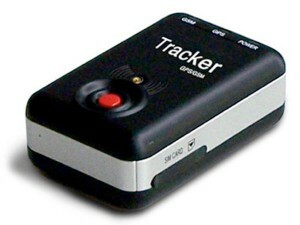 GPS Tracking - Stillinger Investigations, Inc.
Do You Have a Cheating Spouse or Think Your Spouse is Cheating? GPS Tracking Is the Answer. At Stillinger Investigations, we use the latest in GPS Tracking equipment to achieve real-time vehicle location monitoring 24 hours a day. Makes for tracking a cheating spouse or anyone, easier and more precise. Our GPS Tracking Devices use cellular data technology to pinpoint the location of a tracked vehicle, usually to within 50 feet, and remote monitoring and satellite imaging allow us to see the location from anywhere. As a result, we can provide you with up-to-date information and respond to suspicious activity at a moment’s notice. Think you already know where he or she is going? Geo-fencing capabilities allow us to program the GPS Tracking Device to alert us if a tracked vehicle enters a pre-defined area. When the vehicle enters the suspect area, we can respond and investigate and catch your cheating spouse in the act. Concerned about the cost and fees? Our rates for GPS tracking are competitive and affordable, and each unit is designed to report in on a regular basis, while reducing battery consumption. This increases the amount of time that a tracker can remain on a vehicle without having to be replaced, making it a cost-effective means to monitor a subject’s whereabouts at any time, day or night. You don’t have to keep wondering anymore about where and what your spouse is doing or if they are cheating. Call us today at 803-400-1974 and let us find out the answers you deserve!